Tax records can offer invaluable genealogical clues and are particularly important for eras or locations where census records are not available. In Maryland, we are fortunate that portions of 18th-century tax lists for several counties are available. These have been transcribed by Karen Walker, who has generously donated her transcriptions to the Maryland Genealogical Society. Lists for the following nine counties are available: Anne Arundel, Cecil, Charles, Dorchester, Frederick, Kent, Prince George's, St. Mary's, and Talbot. To jump directly to the lists, click here. Below is a description of the records and information about the transcriptions. Further information on taxation in Maryland is available from the Maryland State Archives. What is the source of these tax records? These tax lists were transcribed from a roll of microfilm available at the Maryland State Archives, film SR4543 (Tax List) 1740-1771. The roll contains 37 lists from various counties and hundreds. 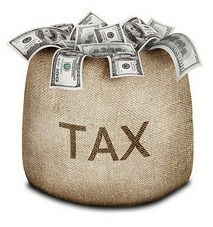 Even though the title limits it to 1740, there are lists dating from 1721-1771.
Who was taxed? All white males 16 years and older, including servants, all black males and females 16 years and older. Who was not taxed? White women, clergy, the very elderly, and the disabled were not taxed. If a woman was listed, she probably was a widow or other relative who inherited property, but she was not taxed. Are all the lists in the same format? No. Each list was prepared by a representative of the Hundred or County, usually the sheriff or constable. Some lists only included the name of the head of household with the number of taxables. Some lists included every taxable member of the household. Some lists only counted the number of slaves; some lists named each slave. One list included the names of child slaves. Are the lists complete records of the population at the time? No. Many of the lists are fragments. Pages have been lost, torn, and damaged through time. What do the brackets mean? On each tax list, people were grouped into families or households. The constable drew boxes around each group or bracketed them together. The number after the bracket indicates the number of taxable persons in each group. Remember that if a white woman was listed in a group, she was not counted in the number. Why are some of the letters in italics? Often, the pages were damaged and parts of names would be missing. If there was enough of the name to make a reasonable guess, the missing letters were indicated in italics. As examples, John or William. What is the best method for searching the lists? The lists are indexed by our custom Google search feature. They also can be searched individually using the "find" function or by a manual search. Since the spellings of names could be very creative in the 18th century, consider the phonetic pronunciation of the name when searching. Could there be errors in the transcriptions? In the words of transcriber Karen Walker, "Yes. The records were transcribed and checked by one human who apologizes for any errors and wishes you good fortune in finding your ancestors on the lists."